Wondering if essential oils and aromatherapy can help alleviate anxiety or stress? Or maybe you just want to know what the best essential oils for anxiety and stress are? Check out this guide for the answers to both questions and more! Anxiety, stress, and depression have been a part of who I am for as long as I can remember. I struggled in high school, opting for therapy versus medication at that time. It worked for awhile, but eventually I stopped going and my struggles returned. A few years into adulthood, I opted for medication and therapy after a rocky relationship and family problems occurred. The medication left me feeling like I was in a haze, acting on autopilot and nothing like the person I wanted to be. Even with depression and anxiety, I wanted to feel. I didn’t like feeling numb. So, I quit cold turkey. I would never recommend this to anyone, but it is what I did. I was determined to handle my depression and anxiety naturally. So I pursued all kinds of alternatives. And eventually (it took a few years) – I found what worked for me. A combination of tactics from The Depression Cure and pursuing a less stressful life. I found tons of ways to naturally reduce stress, which included aromatherapy. There are a plethora of essential oils for anxiety and stress. Most of which are fairly inexpensive, easy to access, and simple to use. Keep reading for a general overview of essential oils, tips on using essential oils, and my top list of essential oils for anxiety. If you’re looking for a full rundown of what essential oils are, check out this introduction to essential oils. I’d also recommend the book Aromatherapy for Beginners. Essential oils are liquids that are derived from elements from a plant. These oils can be found in leaves, stems, bark, roots, flowers and more. Essential oils are considered to be the “true essence” of the plant, which makes them very concentrated. Essential oils can be used in a variety of ways, especially for anxiety. The most common include inhalation and absorption. Inhalation is the most common and it occurs when you inhale the essential oil into your lungs. When it’s inhaled, the natural components of the essential oil provide a therapeutic benefit by triggering a reaction in the brain. Diffusers are the most common way to inhale essential oils. You can also use a room spray or vaporizers. You can also add a few drops to your tub/shower and cover the drain for a relaxing, stress-reducing shower. Absorption occurs when you allow the essential oil to have direct contact with your skin. The most common ways are via massage or body oil, bath, compresses and hand or foot bath. Regardless of which method you choose, remember that essential oils are incredibly powerful and concentrated so they are almost always diluted in a carrier oil (a base oil that can be used to dilute essential oil such as fractionated coconut oil) before use. In terms of a dilution ration, between 1-3% is usually considered safe. However, I usually do not go higher than 2%. Less is more with essential oils. Start smaller than you think you need and gradually build up if necessary. On average, I use between 8-12 drops of essential oil per ounce of carrier oil. But… can essential oils really help with anxiety? There have been quite a few studies revolving around this question. 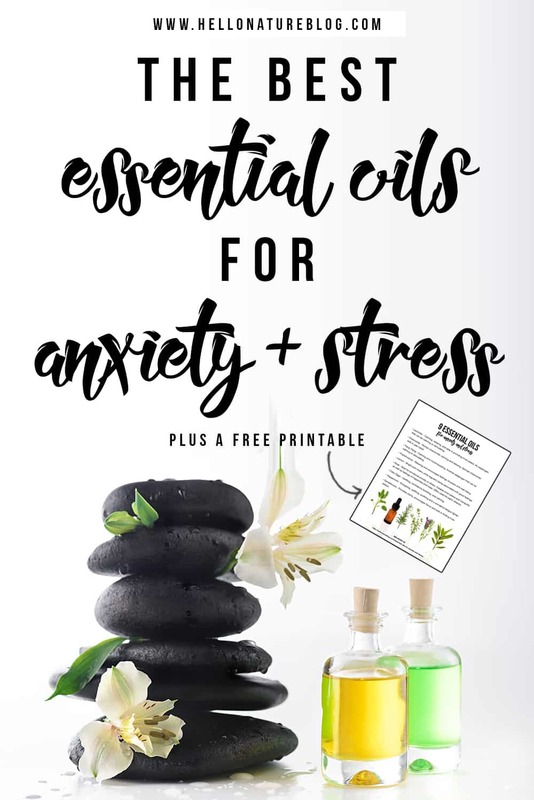 And while some have shown that aromatherapy has shown little to no change in treating anxiety, many others have showed substantial evidence that essential oils can help with anxiety and stress. Anxious of feeling down: can essential oils help? Lavender is one of the most versatile essential oils. 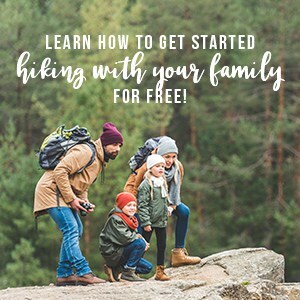 It has a variety of purposes and it’s one of the most common, making it relatively easy to access regardless of where you purchase your essential oils. It’s considered to have a calming or relaxing effect, making it one of the most widely used essential oils for anxiety. It can aid in providing inner peace, help you sleep, help alleviate restlessness, reduce irritability, and even reduce nervousness or tension. The best part about lavender essential is that it can adapt to any mood. It can help brighten a mood or aid in relaxation depending on the current need. Another popular stress reducing essential oil, roman chamomile is used to calm nerves and also promote relaxation. German chamomile aids in pain relief with it’s anti-inflammatory properties. If you’re looking for a unique essential oil for stress relief, consider ylang ylang. With it’s calming and mood boosting properties, it’s great after a long, stressful day. Dreading the day ahead? Ylang ylang is another great option to shake some of the tension before you get going. Ylang ylang is another adaptogen that can be calming or stimulating, similar to lavender essential oil. Frankincense essential oil has been around for thousands of years and it yields feelings of relaxation, peace and even well-being. This is one of the more expensive essential oils for anxiety, but the price can be reduced by using it in a blend with other stress reducing essential oils. By far one of the brightest and more cheery essential oils, lemon essential oil is a great way to start the day. It’s regularly associated with good feelings, making it a must-have for anyone looking to reduce feelings of anxiety or stress. Orange and bergamot essential oils also have strong stress reducing properties, similar to that of lemon essential oil. See all of the benefits of lemon essential oil. Rose essential oil is a great essential oil for anxiety, especially when anxiety stems from emotional situations. It’s pleasing scent is great for creating inner peace and tranquility while promoting feelings of happiness and hope. Rose essential oil is a commonly used essential oils for anxiety and panic attacks. Clary sage is an uplifting, confidence boosting essential oil for anxiety. It has a wonderful aroma that can easily calm the mind and can be used to aid in reducing feelings of depression. If you’re feeling fatigued and need a boost of energy, peppermint oil is my go-to essential oil. Especially when anxiety has me feeling sluggish or mentally fatigued. It’s refreshing scent is energizing, uplifting, and soothing which makes it a powerful essential oil for anxiety and stress. If you’re looking for a moment of clarity, sandalwood essential oil should be your go-to essential oil for anxiety. It’s woodsy aroma is great for focus and can aid in finding inner peace. Although essential oils are natural, they have some incredibly powerful properties. Some people may have adverse reactions to essential oils and some essential oils can be incredibly harmful (or toxic) to certain individuals, including (but not limited to): pregnant women, children, and pets. It’s recommended to consult a specialist and test a small skin patch on your leg or arm to ensure that you do not have any adverse reactions. Looking to shake things up a bit? Try a blend! Blends are simply a combination of two or more essential oils. Essential oil blends are a great way to combine the properties of two or more essential oils to relieve anxiety and stress. You may want to get a few amber bottles and pipettes to make/store these blends. Also, keep in mind the dilution/application instructions I mentioned earlier. Those still apply for blends. It’s enticing to just head over to Amazon and pursue the vast options for essential oils, right? That’s what I did when I first started using essential oils. They’re inexpensive and would arrive on my doorstep in two days. Then I learned a lot more about them. Testing, country of origin, cost and so much more go into choosing the right essential oils. The Herbal Academy has a great source for choosing high quality essential oils. After doing our research, we decided to go with Rocky Mountain Oils, mostly because of their S.A.A.F.E promise. The wonderful thing (and sometime frustrating thing) about essential oils is that we all react to them differently. What is relaxing for me may not be relaxing for you. What cheers you up when you’re in a funk may do nothing for my mood. We’re all unique so it comes down to experimentation. If you try an essential oil to treat anxiety from this list and it doesn’t work, try another. If you try a blend of essential oils for anxiety and it doesn’t have the exact result you’re looking for, make your own. This is simply a guide for you to begin your journey in treating your anxiety with essential oils. And while I absolutely love using essential oils for anxiety and stress, if you have severe symptoms of either (or even depression – please seek the help of a trusted physician or mental health provider. Essential oils are not a cure all and may not work for you. Your physician or mental health provider may recommend aromatherapy as part of your care, but they will be better able to diagnose and help treat your anxiety, stress and depression. What do you think the best essential oils for anxiety and stress are? Do you have any favorite blends? This information is for educational purposes only and has not been evaluated by the FDA. I’m not a doctor and am only sharing what I have learned over the years. It is not intended to treat, cure, prevent or, diagnose any disease or condition nor is it intended to prescribe in any way. This information may not be complete, nor may its data be entirely accurate. When using essential oils, never use them undiluted. Do not take internally unless working with a qualified and expert practitioner and keep away from pets and children. 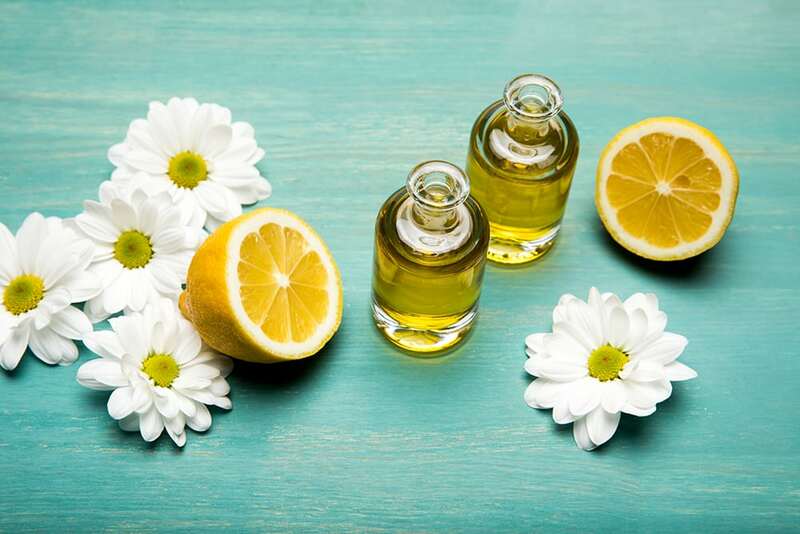 If you’re applying an essential oil to your skin, always perform a small patch test to a less sensitive part of the body after you have properly diluted the oil in an appropriate carrier oil. This post just popped into my inbox so I had to check it out! I’m definitely pinning this and making a copy of the printable. I’m all into my essential oil blends at the moment and could use a bunch of these to unwind at the end of the day and give me peace when my anxiety is high. Great informative post, Ashley!